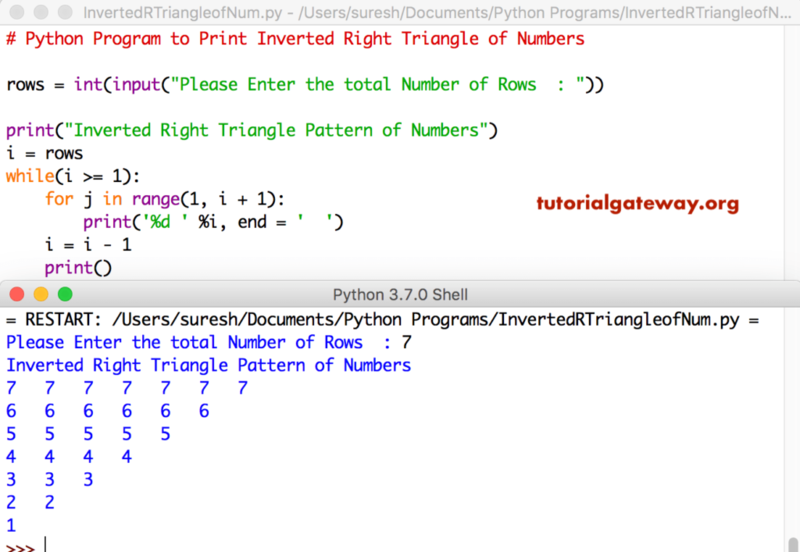 In this article, we will show you, How to write a Python Program to Print Inverted Right Triangle of Numbers using For Loop and While Loop with example. This Python program allows user to enter the total number of rows. 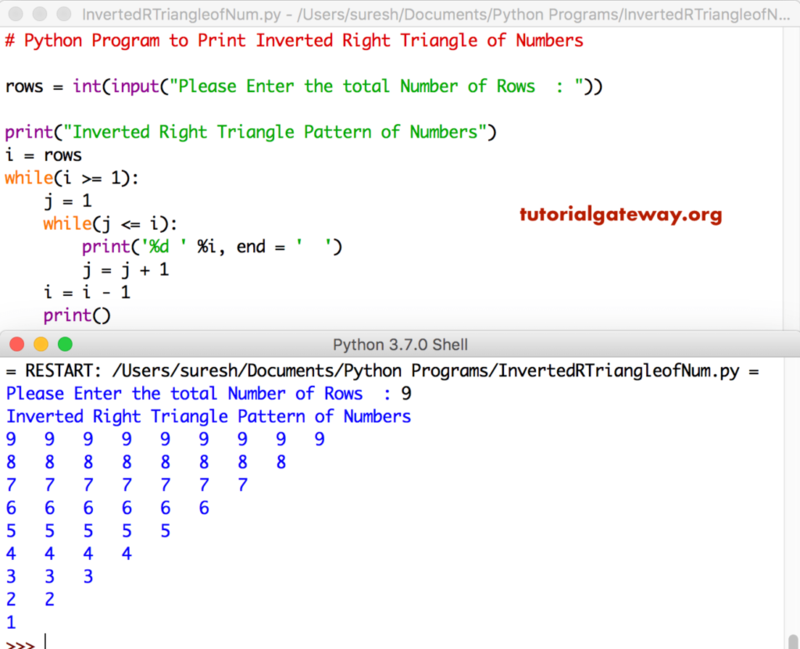 Next, we used While Loop, and For Loop to print inverted right triangle of numbers from maximum value to 1.